Ensuring that flight schedules are optimized to customer needs, internal resources and operational and legal requirements, is one of the most challenging aspects of running any aviation operation – and that’s before factoring in dynamic, real-time disruptions or the desire for sustained profitability. “The complexities and real-time dynamic nature of on-demand aviation operations are significant, and much more than many other industries we have seen,” said Roei Ganzarski, president and CEO of BoldIQ, which makes real-time schedule-optimization and disruption-recovery software. He will be presenting on this topic during a free, Jeppesen-sponsored webinar on Dec. 14. “Creating a schedule that meets demand, satisfies all legal and physical constraints, and at the same time utilizes resources in the most efficient way while meeting internal needs, is a difficult problem, even if all of the key variables remain static, which of course they don’t,” he added. As any flight department team member knows, many variables hardly ever remain static, and this usually presents the biggest challenges when adjusting plans on a day-to-day basis. While schedulers and dispatchers are incredibly capable, they’re also human. Simplifying the problems, such as factoring out a variable or two, to make them easier to solve, means sacrificing effectiveness and efficiency. This is where software can help, said Ganzarski. Advancements in technology and complex algorithms can provide schedulers and other decision-makers with solutions on how to practically optimize operations – both initially and during disruptions. By understanding more about how best to combine human expertise and science to create a practical, optimized operation, aircraft operators can maximize their resources and gain a competitive advantage. Smart city technologies hold many promises for its citizens, and for one IT executive, the areas of transportation and healthcare are likely to have the most impact. “Real-time operational optimisation of driverless transport modes will enable a move to more of a true on-demand transportation system that includes everything from single cars to buses to trains that are linked based on real-time demand,” said Roei Ganzarski, CEO of asset optimisation startup BoldIQ. He told IoT Hub that smart healthcare will further enable pre-emptive and proactive treatment of patients. “It could be monitoring for someone with known issues such as a smarter pacemaker, diabetes, allergies; someone in a high risk category, such as a family history of stroke or heart issues; and everyday use without any specific risk,” he explained. “Think of data streaming in real-time from these various wearables and implants combined with optimisation software that can schedule resources in real-time based on the data. Ganzarski conceded that there needed to be a shift in citizen mentality if these sorts of innovations are to be successful. “Consumers need to understand that if they want the level of service, speed and proactive support regarding their lives, there will be certain privacies they need to give up,” he said. “To get pre-emptive medical attention, the person needs to be willing to wear the ‘thing’ and have the data transmitted to the central analysis hub. He said that if left unchecked, certain markets will become oversaturated to the point where no-one makes any money, because each successive entrant believes that can “do it better”. Ganzarski said that existing inefficiencies in asset utilisation have to be addressed, as smart city technologies won’t solve these fundamental issues. “On one hand, there are industries with overcapacity of resources, like transportation. This creates waste at the resource level, operation level, and in society, causing traffic congestion, pollution, and so on,” he said. “This man-made condition is because the operators in play do not run their operations efficiently, thus creating an attractive reason for others to enter the market. Ganzarski said that a city’s leadership needs to decide what they want as their future, and setup the organisation, structure and policies to support it. “For example, if a city wants to have smart transportation, they can’t say that and then at the same time allow multiple taxi companies, ride sharing companies and others to all operate within their city limits,” he explained. As a father, president and CEO of BoldIQ, and a member of the UW Global Business Advisory and WTIA boards, Roei Ganzarski’s time is in high demand. At BoldIQ, a Seattle software company that crunches real-time data to help organizations optimize business operations, Ganzarski focuses on five key areas. 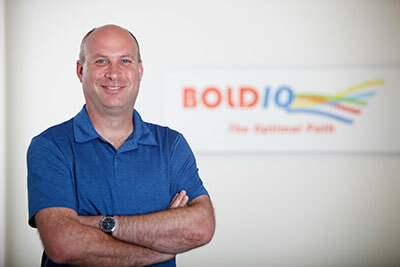 He works on defining BoldIQ’s long-term vision, business development, daily operations, scalability, and marketing. How does Ganzarski define his role? “I create great headaches for my team,” he said. Ganzarski practices “inbox-zero” religiously and makes family time a high priority. To keep it all in balance, he has developed three guiding principles. He shared his tips with us for this installment of Working Geek, a regular GeekWire feature. Continue reading for his answers to our questionnaire. Lots of change may be on the menu for trucking in 2017 as economic trends and federal policy efforts could make further alterations to the U.S. freight market – everything from canceling regulations to the adoption of new strategies for meeting customer demands. For starters, he noted that the 10-year $1 trillion infrastructure proposal put on the table by President-elect Trump could be a big positive for the industry in a number of ways. Sandeep Kar, global vice president for mobility at Frost & Sullivan, added that few industries will face the impact — whether net positive or negative — of a Trump presidency as strongly as trucking, which is a leading indicator of economic activity and typically feels the effects of economic swings and fluctuations well before many other industries or sectors. “While the effect of Trump administration’s legislative actions will be experienced primarily by the U.S. commercial vehicle industry, global market participants and markets will have much to note and consider,” he noted in a recent report. 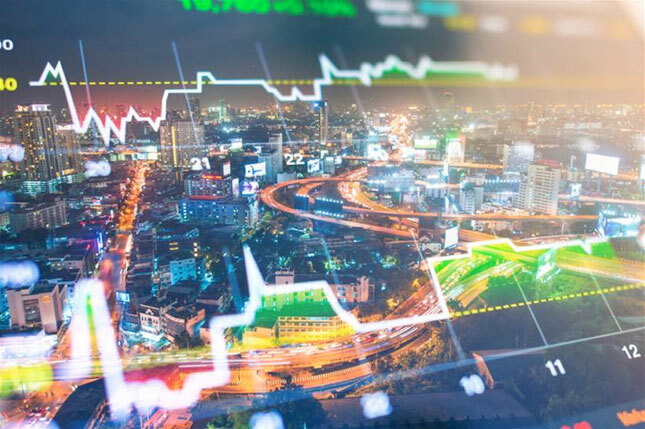 Roei Ganzarski, a former Boeing executive and now CEO BoldIQ, which provides optimization software for asset scheduling, added another economic twist to trucking’s outlook where the economy is concerned: the rise of “demand-driven” freight transportation service. That “on-demand economy” is also shortening planning cycles and significantly shortening decision making time frames. “This means the need for intelligent, data driven, and real-time decision making is critical,” especially in trucking, Ganzarski said. He added that this “demand-driven” view assumes that trucking companies and other freight service providers have finite resources to do their work. “This must be viewed differently from the so-called ‘sharing economy’ where an operation will use someone else’s resources because they are so inefficient, they have spare time or capacity on their resources,” Ganzarski pointed out. That will lead to more consolidation and even elimination of some transport companies that cannot adapt fast enough to the change, he said. A small startup scores big with a deal in which it developed a business-aviation system that Boeing’s Jeppesen division offers to its customers. BoldIQ, a growing Bellevue software company, scored a big deal this winter when Boeing debuted a business-aviation system that uses the small company’s technology. Boeing’s Jeppesen division launched a new operating system that helps business-airplane companies keep their planes fully staffed and running on time. The cloud-based system, known as Jeppesen Operator, puts flight scheduling, crew management, trip planning, pricing and many other tasks into one place. 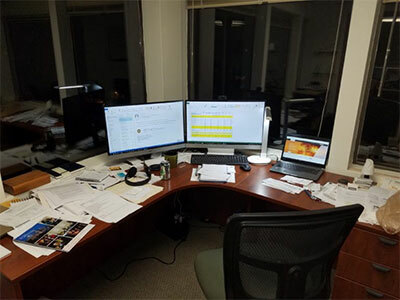 “Today in the current state, without a solution like this, what operators have to do is acquire and maintain and use multiple systems that are disparate from each other,” said Mike DiDonato, director of industry services at Jeppesen. With Jeppesen Operator, a business airline would use BoldIQ’s scheduling software to allow them to plan for flight crews and planes. But the biggest draw is yet to come. BoldIQ specializes in optimizing scheduling using an automated system that recognizes priorities and makes sure everything runs smoothly. It automatically readjusts personnel and jobs if a pilot calls in sick or a flight is grounded or something else pops up. It can reschedule hundreds of factors in minutes. That optimization functionality is being added to Jeppesen Operator and is expected to launch in early 2018. The Bellevue company has 21 employees and is hiring six more, partly bolstered by the Boeing deal. The contract gives it an extra layer of credibility, BoldIQ CEO Roei Ganzarski said. BoldIQ makes scheduling software for aviation and ground-transportation companies, and is developing technology for the health-care industry. 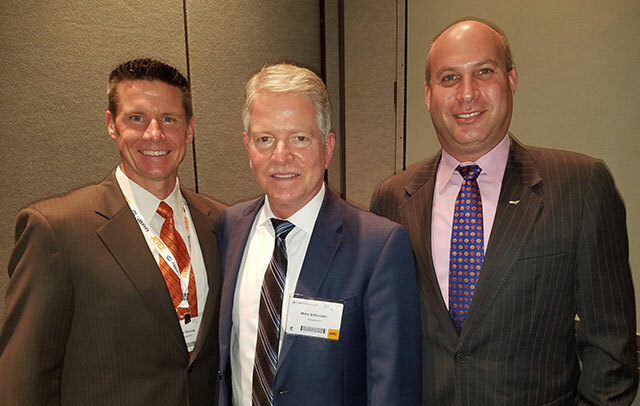 The Operator software, which launched in November, now has six business-aviation company customers, and may branch into commercial airlines to help with cargo planning and other unscheduled areas. Affordable code schools would help vets fill in-demand tech jobs. Washington state has thousands of unemployed veterans and an estimated 20,000 unfilled technology jobs. Cost is the most prohibitive aspect for many veterans interested in learning to code. Daniel Browning was a network administrator with six years of experience working under extremely challenging conditions. His experience, though, wasn’t enough to get him a job, even in tech talent-starved Seattle. That’s because Browning’s experience was in the U.S. Army, not the private sector. Photo: Daniel Browning, a veteran who works at Bellevue startup BoldIQ, speaks during the Washington Technology Industry Association’s FullConTech conference. Browing is a Code Fellows graduate. The unemployment rate for veterans in Washington state is 3.8 percent, according to the U.S. Department of Labor. It’s slightly higher among veterans who served after Sept. 11, 2001, at 4.1 percent. Meanwhile, Washington’s economy suffers as a result of an estimated 20,000 unfilled technology jobs that prevent promising companies from growing and succeeding. The state’s thousands of unemployed veterans could help fill the need, and Washington coding schools – which train basic computer science skills in a matter of weeks or months, not years – could help prepare veterans for technology roles. While that may sound like a simple solution, both the veterans and the code schools have encountered major challenges in making it happen. The military teaches many of the soft skills required in technology roles, including attention to detail and working on teams, and veterans can often easily transition into the jobs with some technical training. Plus, many have obtained the security clearances necessary for government projects in the technology industry. The tech industry has started to take notice. Amazon founder Jeff Bezos earlier this year pledged to hire 25,000 veteran and military spouses at the company, including training 10,000 veterans and spouses for cloud computing roles. Microsoft and many other technology companies including EMC and SpaceX have initiatives for hiring veterans, too. The trouble is – even with deliberate measures, such as veteran-only job fairs – the skills veterans learn often don’t satisfy the region’s technology recruiters. There can be a stigma against hiring candidates who didn’t graduate from one of a handful of four-year universities. As demand for technology talent continues to grow, though, companies are having to consider candidates whose backgrounds look a little different than the traditional Stanford graduate. Dozens of code schools have formed to respond to the industry’s insatiable demand for programmers. Seattle has at least 12 code schools. Nearly all of them have opened in the past five years. “A lot of people are often overlooked for a job they can do,” said Sonny Tosco, a recent graduate of Bellevue-based Coding Dojo’s California program. The son of Filipino immigrants, Tosco wanted to be in the military from the time he was 4 years old. He graduated from prestigious military academy West Point and served in the Army until 2012, when he moved home to Silicon Valley. Tosco founded a company called Limelight, a mobile app that allow users to see others on a map and ask for a photo of their location. The app was inspired by an experience he had in 2012 during the Arab Spring, when he wanted information from people on the ground. He spent two years on the project before giving up on it and enrolling in a coding school. He graduated in early November and already has another plan for a startup. Veterans, he said, are ideal technology industry entrepreneurs and job candidates. Coding schools can help veterans like Tosco supplement the job skills they learn in the military with fundamental computer science skills. But for many veterans interested in learning to code, cost is the most prohibitive aspect. When Army veteran John Shaff decided he wanted to use his military experience for a technology career, he didn’t want to go back to school for four years. But the G.I. Bill – the government program that pays for veteran’s undergraduate education – wouldn’t cover his coding school tuition, which can cost tens of thousands of dollars. “It was honestly very frustrating,” said Shaff, who deployed from Washington’s Joint Base Lewis-McChord to serve as a infantryman and later as an intelligence officer in Afghanistan. The G.I. Bill covers the full cost of an undergraduate education at any public university or college in the U.S. and many private schools. It also covers non-college degree programs, including truck driving, HVAC repair, emergency medical training and beautician schools. Code schools, until very recently, were not included. In August, Seattle-based Code Fellows, where Shaff eventually enrolled, became the first coding school in the state to receive approval for the government program. “From the military perspective, you don’t want to spend an additional two to four years in school. These are adults who have lives and want to transition from their military experience as quickly as possible,” said Code Fellows CEO Dave Parker, whose father-in-law was also a West Point graduate. What’s great about the Code Fellows programs, he said, is that veterans who want jobs get into the workforce much faster than they would it they went to a traditional school. Code Fellows has a variety of programs, most of which take about 10 weeks to complete. The school has trained more than 650 students since it was founded in 2013 and has a placement rate of more than 95 percent with an average starting salary of $71,000. Still, most coding schools aren’t yet able to accept the G.I. Bill and many veterans with technology ambitions, regardless of experience, might have to settle for lower-paying careers. The Washington Technology Industry Association and other advocacy groups are trying to change that by getting skilled veterans in front of tech companies looking to hire. It’s already starting to work. Browning, the former Army network administrator, graduated from Code Fellows earlier this year. 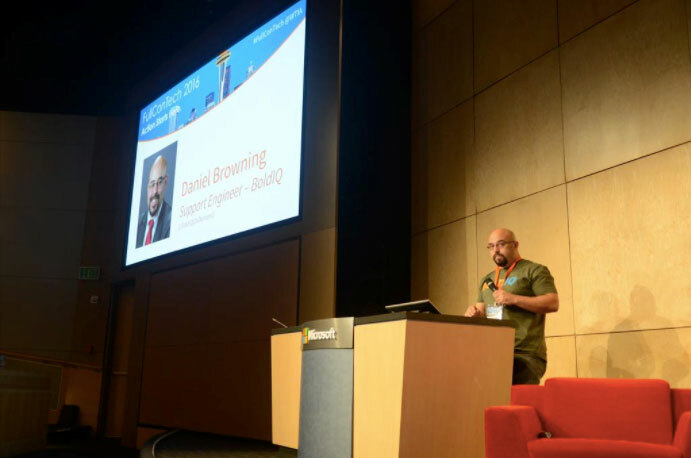 Through a WTIA program, Browning was hired on at Bellevue startup BoldIQ and has become one of the growing company’s most promising employees. If Browning could teach computer networking to a group of Afghani citizens in the midst of a war zone, BoldIQ CEO Roei Ganzarski said, the veteran would likely do well at the scheduling software company. Jeppesen is tapping its many resources to create a new single-source software solution combining flight planning, trip planning, runway performance, weight-and-balance, crew scheduling and management and reporting. The new product is called Jeppesen Operator, it is available now and the company is demonstrating it here at NBAA 2016 (Booth 1596). The Operator project started more than six years ago, when Mike McCready joined the company and took a look at all of Jeppesen’s varied products to try to figure out how they could be developed for the future. Jeppesen has offered flight planning for decades, having purchased Lockheed’s DataPlan service in 1989, and it also is in the international trip-planning business, in addition to publishing aeronautical data and, more recently, developing mobile apps to display that data. The next step was to make sure there were enough internal resources to make the new product possible. Then, he said, “Over the years there was lot of work, and interviews. The customer advisory board gave us a lot of direction.” The board included Part 91 flight departments and Part 135 passenger and cargo operators. Jeppesen’s international trip planning (ITP) team was key to a fundamental aspect of Operator: supporting schedulers and dispatchers who can do much of this work themselves, provided they are given the right tools. The software did need to be informed by the ITP team, but the software’s users should not be dependent on the team to set up and release flights for their operations. “We found a way of doing that through using flight planning,” said McCready. When creating a flight plan, all the requirements of the flight must be met, so Operator then creates a queries database and from that a checklist for the trip, he explained. The checklist outlines items that the user–perhaps a pilot in a small operation or a scheduler or dispatcher–must either obtain or check. For example, an international trip may require a navigation permit. Operator not only specifies this requirement, but also includes information that will help the user satisfy the requirement, such as contact information for securing the navigation permit. The BoldIQ features won’t be available in the initial release of Operator and should be available next year, but in any case, customers will be able to subscribe to Operator and all of its capabilities, or pay more for Operator plus the BoldIQ features. The runway performance, weight-and-balance and other Operator features are all Jeppesen-developed. Operator will also integrate with third-party programs such as Camp Systemsmaintenance tracking and financial systems. At the NBAA Business Aviation Convention and Exhibition in Orlando, Florida, Jeppesen introduced a new software product aimed to streamline the work of flight departments. Jeppesen teamed up with BoldIQ, experts in on-demand flight operations and optimization, to create Jeppesen Operator, which integrates the many levels that go into managing aircraft and crew in an on-demand flight department, such as aircraft maintenance, crew currency, flight planning, weight and balance, flight permits, and more. Once trip planning begins, the software creates an all-inclusive checklist. The checklist allows multiple operators to work on the same trip plan, and since the software is cloud-based, a plan can be accessed from multiple locations by several operators, allowing a trip plan to be started in one location and finished in another if need be. Operator can be managed through a computer or mobile app. Jeppesen Operator also combines with Jeppesen’s EFB app to allow flight departments to seamlessly push the trip information to the pilot. In the future, Operator will also connect to Garmin’s Pilot app. The software allows the operator to pick and choose services offered by Jeppesen. Jeppesen’s concierge service, which is incorporated into the software, allows flight departments to pick and choose the services they are able to handle themselves and hand off more complex ones, such as international permits and handling arrangements, to the professionals at Jeppesen. Pricing varies depending on the services selected and are paid per tail. 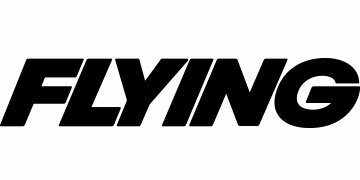 ORLANDO, Fla., Oct. 31, 2016 /PRNewswire/ — NBAA CONVENTION & EXHIBITION — Jeppesen, a Boeing Company, in alliance with BoldIQ, Inc., today introduces Jeppesen Operator, a new online business aviation platform that integrates key business aviation functionality in a ‘one-stop shop’ self-service environment. Operator is available today for pilots and operations staff through the cloud with a modern interface, built on decades of knowledge and expertise. Specifically, Operator integrates flight planning, runway performance, weight & balance, crew scheduling & management, aircraft scheduling, domestic and international trip planning and reporting (financial, maintenance and custom), customer account management, real time pricing and cost accounting capabilities. Operator ensures regulatory and business policy and procedure compliance, using multiple rules engines, including those unique to a customer’s operation, and provides a custom trip check list. The check list is automatically generated and provides insight into the complexity and requirements for each trip and determines if additional resources are needed. This process enhances situational awareness and assures the trip will be released for flight. Operator combines Jeppesen’s 40-years of experience with flight planning and international trip planning with BoldIQ’s 10-plus years of aviation on-demand flight operations and optimization experience, into a single, united user platform. Operator improves data sharing, simplifies access and usability, and increases resource utilization, all backed by proven technology. Teaming with leading optimization and operations management software provider BoldIQ bolsters Operator capabilities through the seamless integration of scheduling, crew and fleet management, customer account management, real-time pricing and cost accounting, all driven by advanced optimization capabilities. When using the “Concierge” service in association with Operator, a customer has the option to connect with Jeppesen’s International Trip Planning (ITP) global experts for assistance with traditional ITP tasks such as managing flight plans, permits, and handling arrangements, or to establish a line of credit, to eliminate operational financial concerns that could jeopardize a planned flight. Operator will uniquely combine with leading mobile apps that are already in use by operators for navigation, electronic flight bag (EFB), and pilot operational interaction capabilities, further integrating planning and operations systems in an end-to-end digital management solution. Airport, FBO, and vendor data for Operator systems is generated by the Jeppesen Aviation Database, the most comprehensive in the aviation industry. For further detail on the industry-leading navigation, operations, training and optimization solutions provided by Jeppesen, please visit www.jeppesen.com. For information about the business optimization capabilities offered by BoldIQ, see www.boldiq.com. About Jeppesen: For more than 80 years, Jeppesen has made it possible for pilots and their passengers to safely and efficiently reach their destinations. Today, this pioneering spirit continues as Jeppesen delivers transformative information and optimization solutions to improve the efficiency of air operations around the globe. Jeppesen is a Boeing subsidiary and part of the Digital Aviation business unit within Boeing Commercial Aviation Services. Boeing offers the industry’s largest portfolio of support and services solutions, providing customers a competitive advantage by solving real operational problems, enabling better decisions, maximizing efficiency and improving environmental performance – intelligent information solutions across the entire aviation ecosystem. About BoldIQ: BoldIQ provides software solutions enabling the real-time, dynamic scheduling of resources in complex business environments. BoldIQ’s software continuously provides ongoing plans and disruption recovery based on current demand, resources, rules and constraints, external factors, policies and regulations, so that companies can make intelligent decisions in real-time, all the time. What Industry Will Amazon Enter Next? Amazon.com, Inc. does pretty much everything retail. What started as an online bookseller quickly expanded into other product verticals like electronics, clothing and toys, and eventually morphed into an all-encompassing web store with virtually every legal product you can imagine. AMZN even helped put a few billion-dollar businesses – RadioShack, Borders and Circuit City being three of the most prominent – out of business along the way. There’s arguably no other American company ever that’s been so successful in so many areas. That’s not to say there haven’t been flops. Amazon Local, the Fire Phone and Amazon Destinations each failed; the Fire Phone arguably registered as one of the biggest tech flops of the last decade. Still, Amazon’s track record of success far exceeds its failures, and with a hard-charging billionaire intent on taking humans to Mars at its helm, Amazon investors and competitors alike should be prepping for its next ambitious business expansion. Shipping. Watch out United Parcel Service, FedEx Corp., and DHL – Amazon is coming for you! In recent years Amazon has been building up a fleet of aircrafts and branded trucks, has entered the ocean freight industry, and has lead the way lobbying regulators on drone delivery. Former Boeing exec and current CEO of the fleet/aviation software company BoldIQ, Roei Ganzarski, says these steps are necessary if Amazon wants to control the “entire supply chain,” which it does. Amazon’s lightning-fast 2-day delivery for Prime members (it’s even testing same-day delivery for some products and locations) is a demanding timeframe for third-parties like UPS and FedEx to adhere to. So, like so many things, Amazon is in-housing logistics. The next step, Ganzarski says, is selling its shipping services to others once its capacity is large enough.